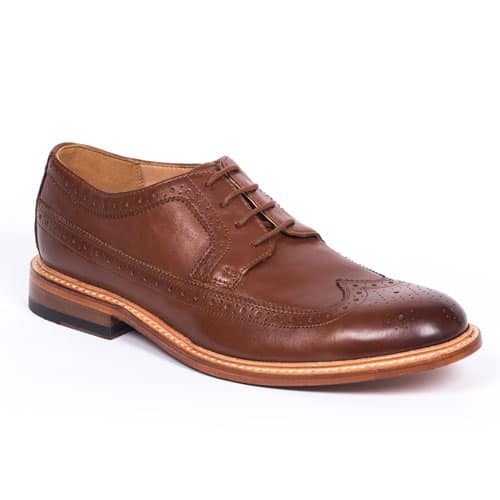 No.16 Soft Wing, Bostonian brogues & wingtips, dark tan leather – A full grain leather upper, leather outsole and brogue detailing turn this wingtip into a polished dress style. A contrasting Goodyear welt adds casual appeal, allowing it to be worn just as easily with jeans. The combination of all leather linings with a removable OrthoLite footbed greatly enhances comfort.